Since November 2017 a small group of local women have been protesting against offshore and onshore detention at Belgrave roundabout. The eclectic village of Belgrave is known for its unique cafes, music venues, a wizard, and of course Puffing Billy. Though, over the last year a new dynamic has been added and every Saturday between 11am and midday hundreds of vehicles traversing the Belgrave roundabout will beep in support of the few women who are protesting against offshore detention. 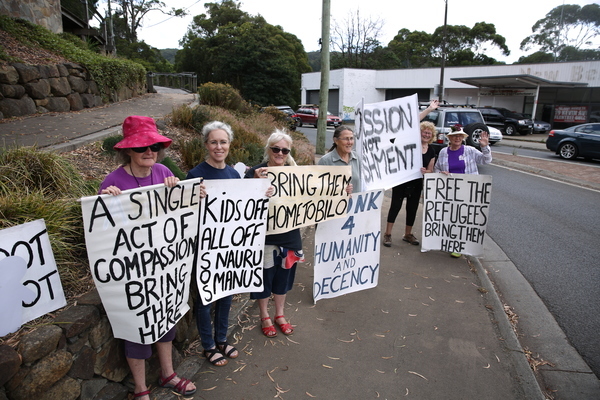 Since November 2017 the small group of local women have congregated at the roundabout with signs which say ‘Honk for Humanity,’ ‘Bring them Here,’ ‘Justice 4 Refugees,’ ‘Shut Down Manus and Nauru,’ and ‘Kids Off All Off’. The group was created in response to the Manus siege in 2017 when Manus Island was decomissioned, leaving many refugees without a place to stay. “In November 2017 was when the Manus siege was happening and there were 700 men who had refused to leave the compound at Manu Regional Processing Centre as they were worried about their safety,” said Margaret Sinclair a primary school teacher from Belgrave, who has taken up protesting at Belgrave roundabout. “At that stage an organisation in the hills called kindred organised a meeting at grunge café and spoke about what was happening on Manus … we took our protest signs up to the Cameo and back again looking for a spot where the most motorists would see the signs. Those women are still protesting, albeit have moved from being on the roundabout to a safer location beside it. Prue Licht, a Belgrave resident and a retired social worker told the Mail that that the response has been largely positive. 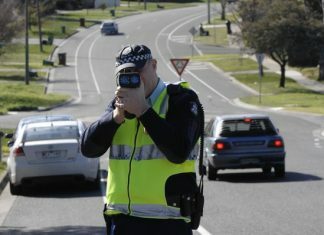 She said each week a clicker is taken to monitor the response from motorists, and some weeks they receive over 400 positive responses within one hour. “It’s been hugely successful,” Prue said. “We’re a bit of a fixture now and people expect to see us … we get lots of toots and waves and the occasional obscenity. The group are unsure of what the future holds but are committed to continuing the protest until offshore and onshore detention is addressed. Margaret said that if the government fail to address the issue at the next election, it’s likely that they’ll continue to protest. “We’ve all definitely made a decision to keep going until the next election and then after that will see,” she said.